Play Golden Sevens online for free now! 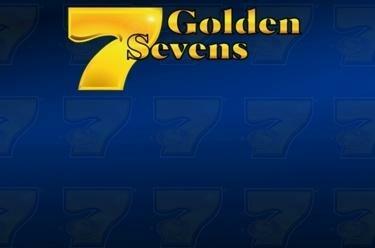 Play Golden Sevens free online! Cherries, Apples, Oranges, Lemons and a Golden 7! You can enjoy this tasty fruit salad and the chance to garnish it with a huge bonus in the form of a progressive jackpot! Sound like fun? Then it’s time to get spinning! The ultimate fruit slot is ready and waiting: Golden Sevens! Have you got what it takes to tackle the Novoline slot machines in our Online Casino? Then let’s get the fruits flying around the reels! Below is an overview of what you need to know about Golden Sevens so that you can get gaming for free. Golden Sevens is all about spinning the five reels and trying to line up as many matching symbols as possible to win. Place your stake and, with a little luck, the 5, 10 or 20 win lines will yield not only impressive winnings, but also a progressive jackpot! The main aim in our Online Casino is to land five matching symbols along a win line. The winning patterns in Golden Sevens run from left to right across the reels. The symbols in your winning combination must match and line up side by side along the win line (starting on the first reel) without being interrupted by other symbols. The slot game Golden Sevens can be played at GameTwist free of charge. The best casino bonus - with a possible jackpot! Golden Sevens has a common progressive jackpot. If you land the 7 symbol 15 times on the reels, you’ll hit the jackpot and a huge Twist win will be yours! How much of the pot you get will depend on your bet. The jackpot payout starts at 10,000 times your current bet. 1 Click on the orange “Gamble” button after a win to open a new window. 2 Choose a card colour - red or black? 3 Watch as the card is revealed! If your prediction was correct, you can celebrate landing higher winnings as we’ll double them! If not, you can return to the main game and, if you have enough Twists in our Online Casino, try your luck once more. In addition to Golden Sevens you’ll find a host of further game machines from Novoline and other industry giants at GameTwist, and you can enjoy them all free of charge provided you have enough Twists in your gaming account. 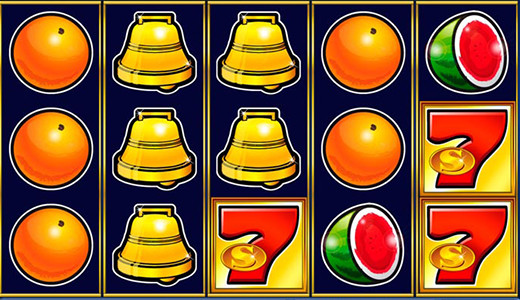 The most common type of games available are slots with a fruit theme. These games are often very easy to get into and are perfect entertainment for casual gaming. And it’s all about having fun when you’re not playing for real stakes. Among such titles in our Online Casino are Sizzling Hot online, Ultra Hot and Fruits’n Sevens. However, Novoline has much more to offer, including brand-new games based on Hollywood blockbusters (From Dusk Till Dawn) and one that even gives you a taste of life as a star DJ (Hardwell)! Play online slots wherever you are! What makes the GameTwist website so special? We offer hundreds of Casino games including a host of cult titles such as Golden Sevens. We are THE casino for Novoline slots! Here you can play classics like Golden Sevens online free of charge, giving you the freedom to focus on having fun! Registering with us and our partner platforms like StarGames Casino is quick and easy... and rewarded with the odd bonus or two! No matter whether you play Novoline’s Golden Sevens or other slot games, GameTwist is available on your computer, tablet and smartphone. That means you can enjoy our wide variety of top games while you’re on the move! So, are you ready to begin your greatest ever adventure in our Casino? Pick a Novomatic game now. With a little luck, you could soon land a Twist win that will have everyone at GameTwist talking! Should you need any further information, just visit our homepage, where you’ll find a comprehensive overview of our Novoline games.